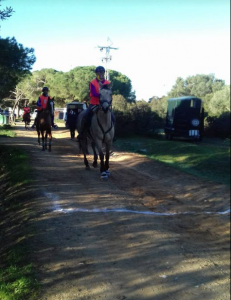 Well done to Caroline and the “champagne war horse” Bambina creating a buzz in the endurance riding world here in Andalucia. They won their very first 40km endurance competition race last month – and today stepped up to the next level in a race near Jerez. Competing in 60km, this amazing team won first place! 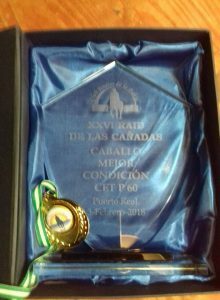 Not only that, Bambina was awarded the Best Condition trophy also. A huge credit to her training, upkeep and love of this new sport. She is an absolute natural. 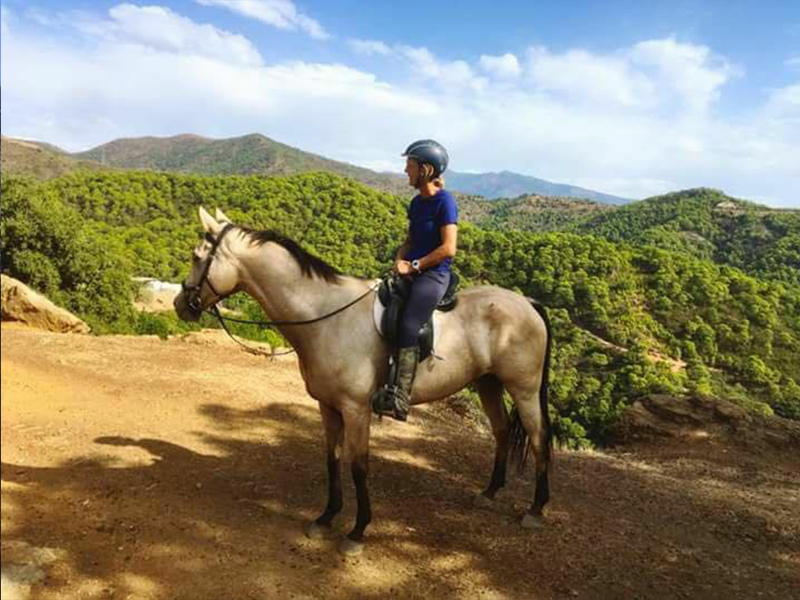 Many of our horses are Arabs and Anglo-Arabs and enjoy this sport. All those rides in the mountains certainly helps keep them fit.